What will be your preference if you have a loaded bow? Definitely, you will shoot the monster bats. 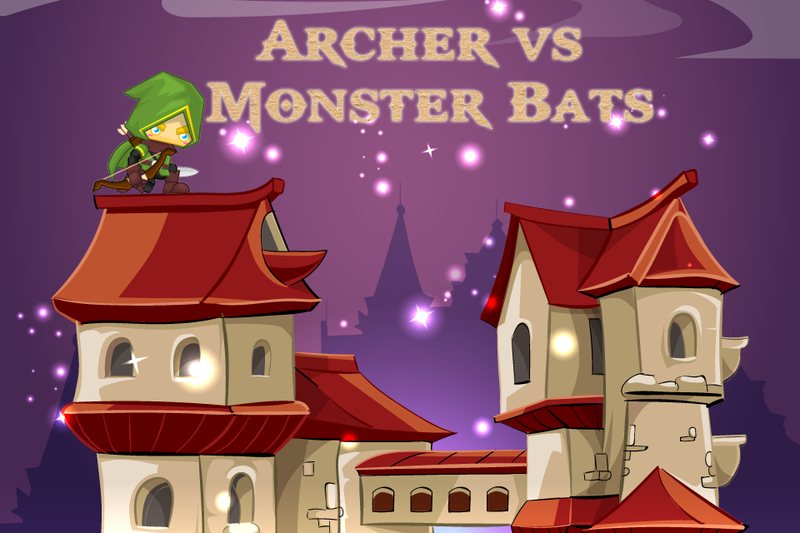 If you want to play free and full of fun arcade game then nothing is as interesting as Archer vs Monster Bats. No need to have gaming experience, just load the bow and pull it back to start the game. To defend your home from bloodthirsty hordes of monsters, you need the best archery skills. The players have to pass 15 levels where the dangerous creatures and monsters hit their houses. It becomes difficult to kill the massive creature because the number of monsters increases in each and every level. 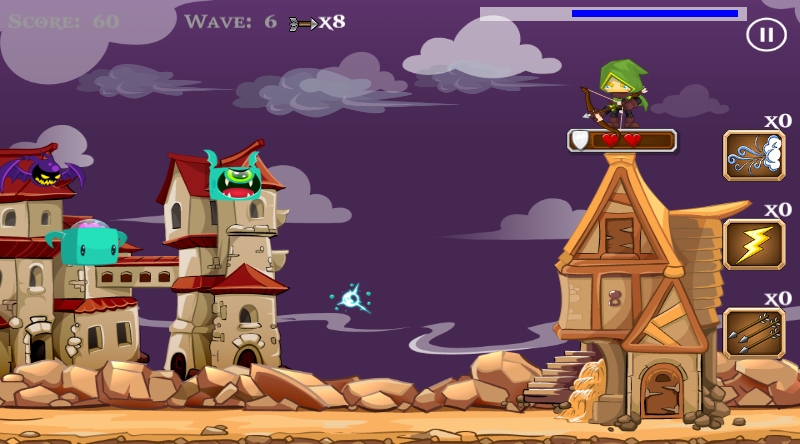 As a result, the players have to fire the arrows swiftly and correctly to win the game. Luckily, you are blessed with some kind of magical assistance. In case you are in trouble, just press the button “Wind” in order to slow down the evil invaders for next ten seconds. On the other hand, you are given choice to select the Lightning button to bring a powerful lightning storm so that all your enemies can burn. You have an opportunity to kill your enemies fast by selecting three arrows at a time. Always remember! There is limited supply of these magical powers, so make it your preference to get as maximum gold as you can to secure your lovely kingdom. If you kill more and more deadly creatures then you will get maximum bonuses to win the game. 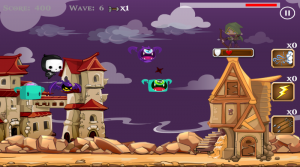 Availability of detailed graphics, interesting gameplay and amazing soundtracks compel the players to pass their free times by fighting against the enemies. Give +5 stars and your review concerning Archer vs Monster Bats game on Google Play and App Store . Your feedback will help in developing more interesting games.